Raytheon (NYSE: RTN) has received a potential five-year, $205.2M contract to support a weapon system designed to help the U.S. Army identify and counter incoming rounds on land. The cost-plus-fixed-fee contract covers work on the Phalanx radar-guided gun through Dec. 27, 2023, the Department of Defense said Friday. 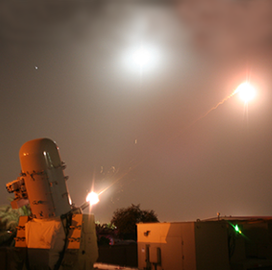 Phalanx is a key component of the Army’s counter-rocket platforms and defends against close-in threats through the use of an infrared sensor as well as computer-controlled search and detection tools. The U.S. Navy uses the system aboard surface combatant vessels in an effort to defeat anti-ship missiles.